The scene below unfolded yesterday afternoon on the 14th floor apartment window ledge of Cube 8. 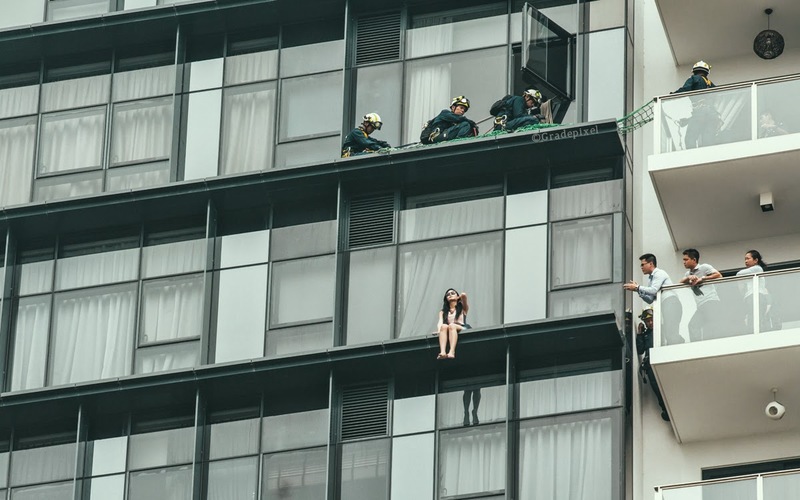 The girl apparently had sat there for 3 hours while authorities tried in vain to get her off the ledge. 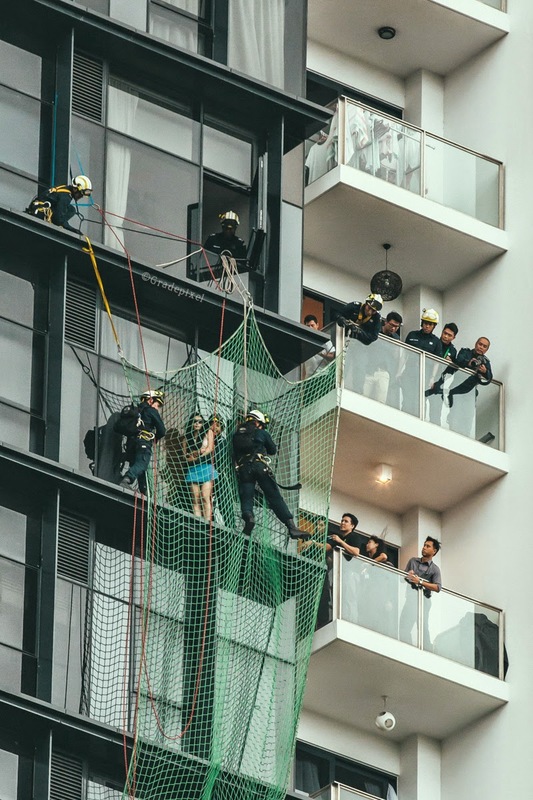 Eventually the SCDF had to be mobilized to grab her off to safety. Just trying to grab as much fresh air as she could with the haze being washed away by the rain, maybe..? No Comment to " High drama @Cube 8! "